Podcast Beyond Episode 512: What Makes Video Games So Addicting? Podcast Beyond Episode 497: How Was Playstation's 2017 E3? Podcast Beyond Episode 462: PlayStation VR is Finally Here! Podcast Beyond Episode 459: Do We Want Death Stranding Details This Soon? Podcast Beyond Episode 436: Are We Down With a PlayStation 4.5? Podcast Beyond Episode 433: Why Won't Activision Have an E3 Booth This Year? Podcast Beyond Episode 423: What's Next For Kojima Productions? 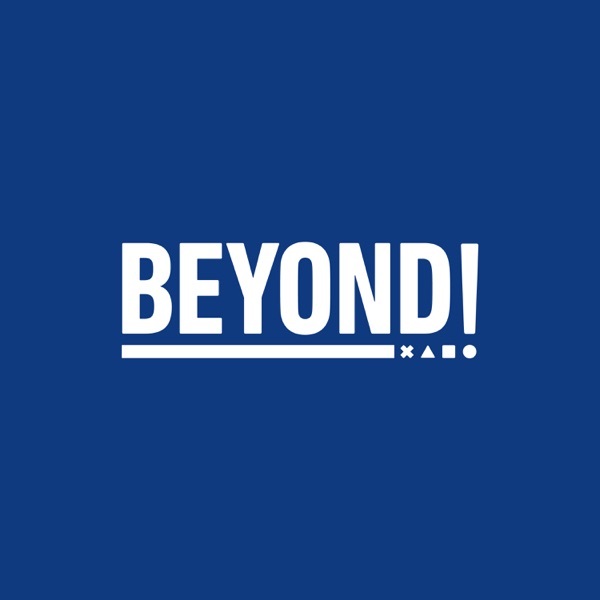 Podcast Beyond Episode 416: Ooh La La, C'est Paris Games Week! Podcast Beyond Episode 409: What's Wrong with Uncharted 4 DLC? Podcast Beyond Episode 404: Can You Romance The Dog in Fallout 4? Podcast Beyond Episode 403: Finally, a Game That Lets you F#$* Birds! Podcast Beyond Episode 399: What's E3 Really Like? Podcast Beyond Episode 397: WTF's Going on with Vita? Podcast Beyond Episode 396: Will the Mad Max Game Be a Letdown after Fury Road? Podcast Beyond Episode 395: How Do You Modernize Doom? Podcast Beyond Episode 387: Is Bloodborne Too Tough for Casual Babies? Podcast Beyond Episode 377: Can Uncharted 4 Be Game of the Year? Podcast Beyond Episode 360: Did Destiny Under-Deliver? Podcast Beyond Episode 358 - Will The Order: 1886 Turn Out OK? Podcast Beyond Episode 353: Could The Last of Us Be GOTY Again? Podcast Beyond: Uncharted PS4 in 2016? Podcast Beyond: Who Should Review Resistance Vita? Will Kratos Yell in God of War: Ascension? Podcast Beyond: Last Guardian, Where Are You? Podcast Beyond: Vita or 3DS?